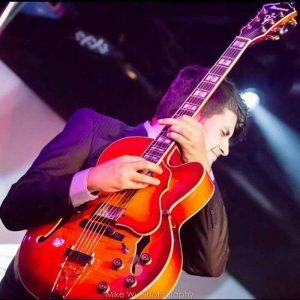 Alan Ruiz is a Colombian musician whose style has been influenced by different genres such as Jazz, Funk, Latin and Rock, Alan started his music career at age 10 when he found an abandoned guitar at his grandparents house. In 2012, he decides to start a career in music abroad and moves to Vancouver B.C. In this year he takes private lessons with classical guitarist Michael Strutt at Douglas College, but later, in order to further expand his knowledge in Jazz, he transferred to the VCC School of Music, where he graduated from the music diploma in Jazz and Contemporary guitar. He is highly involved in the music community and has performed with multiple bands around Vancouver. Currently he host a jam session every thursday at Euforia Spanish radio. As a music tutor, Alan understands that every student is different and deserves a personal approach. He has helped many students to set the bar higher and accelerate their learning curve.